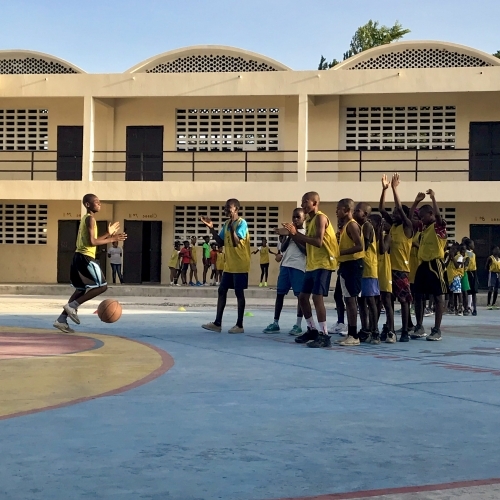 Featured Partner: Sprint to Cite Soleil Youth Basketball Program | Communitere: Response. Relief. Renewal. 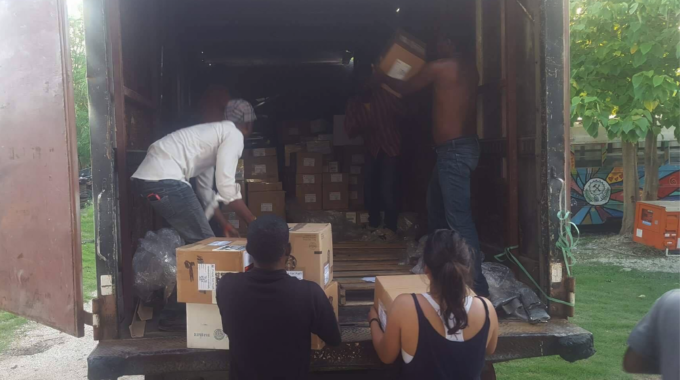 Your donation will go directly to help communities gain access to the resources, knowledge and skills they need to rebuild. Click on the link to go to our Omprakash page and make a tax-deductible donation. 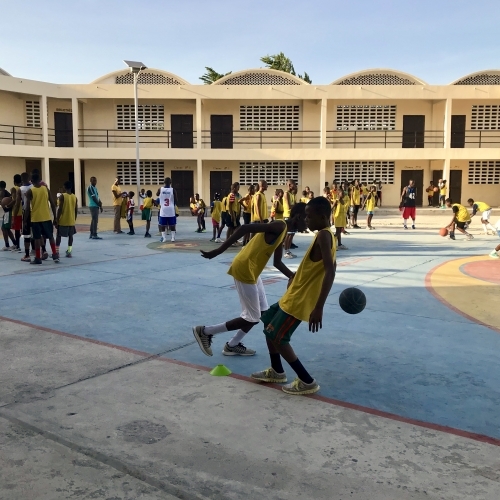 The kids playing on Cite Soleil’s public high school’s basketball court may know that there is only one player from Haiti who has signed with an NBA team since the 2010 earthquake but that does not stop them—or their coaches—from dreaming of the day when a kid from Cite Soleil will go pro. The long-term vision of Sprint to Cite Soleil is to see this dream realized by 2027. 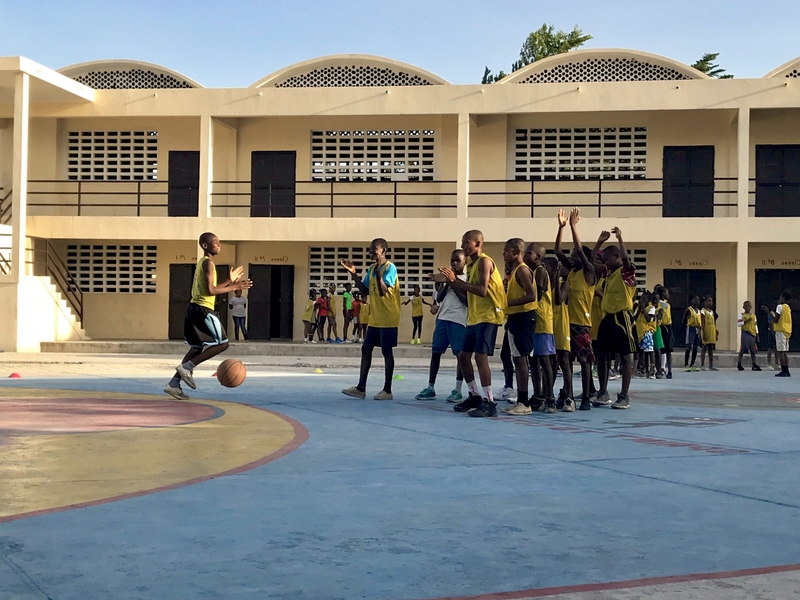 In the meantime, the organization focuses on empowering the children and young adults in Cite Soleil by training them to play basketball. 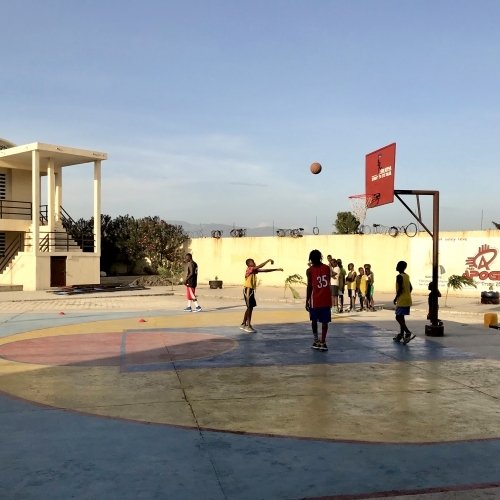 Every Saturday, 180 kids, ranging in age from six to eighteen years old, gather on the Lycee basketball court. 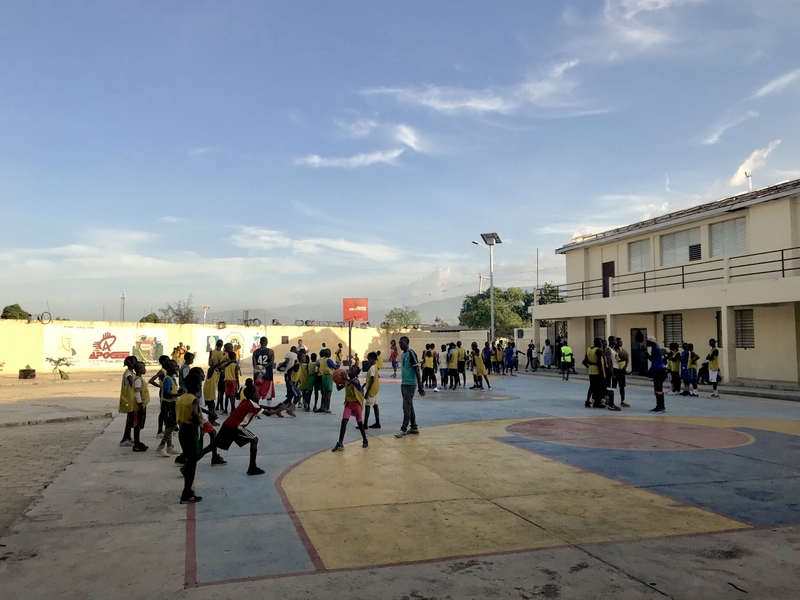 The ten Sprint to Cite Soleil coaches spend the morning running drills, teaching strategy, and encouraging them to work hard to reach their goals. There is no fancy gear or flashy tricks; the coaches are players themselves, brought in from the adult league. At the end of practice, every kid is given a hot meal and a juice, courtesy of the four cooks. 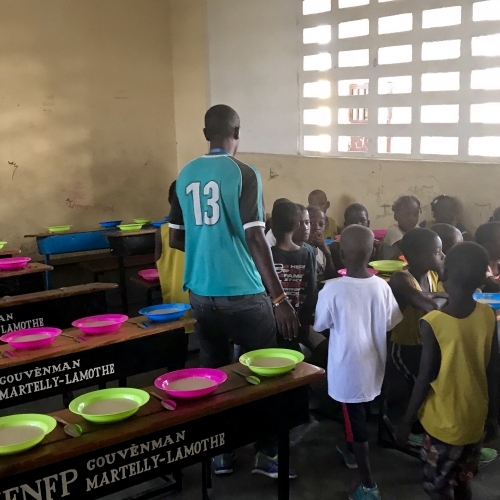 The board members and the Haitian Director Joseph Sadrack hope to expand the program to reach as many kids on as many days as possible. 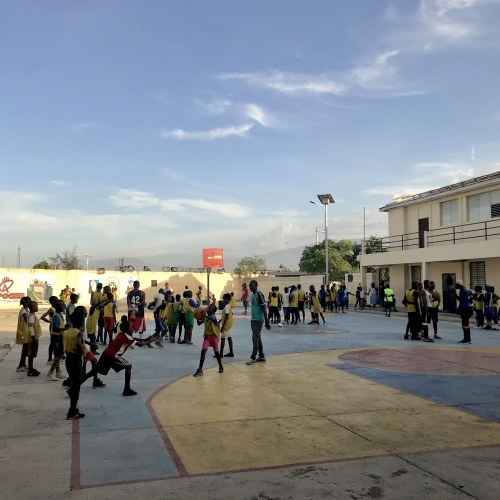 Cite Soleil has developed a bad reputation for poverty and gang violence, both nationally and internationally. 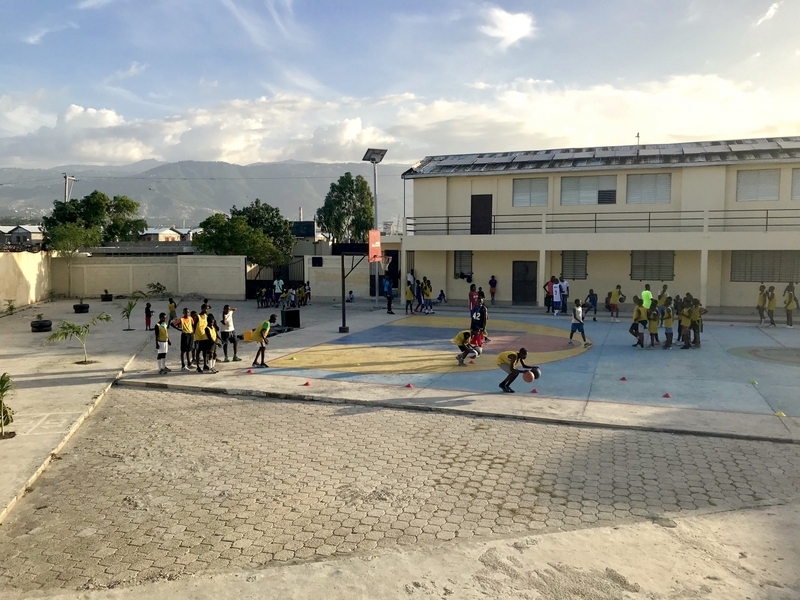 Sprint to Cite Soleil is one of several community-driven initiatives aimed at empowering residents, particularly the children, and promoting solidarity. Rather than just accepting preprogrammed aid from foreigners, the community is focused on building itself up and proving to outsiders that it should not be feared or overlooked. 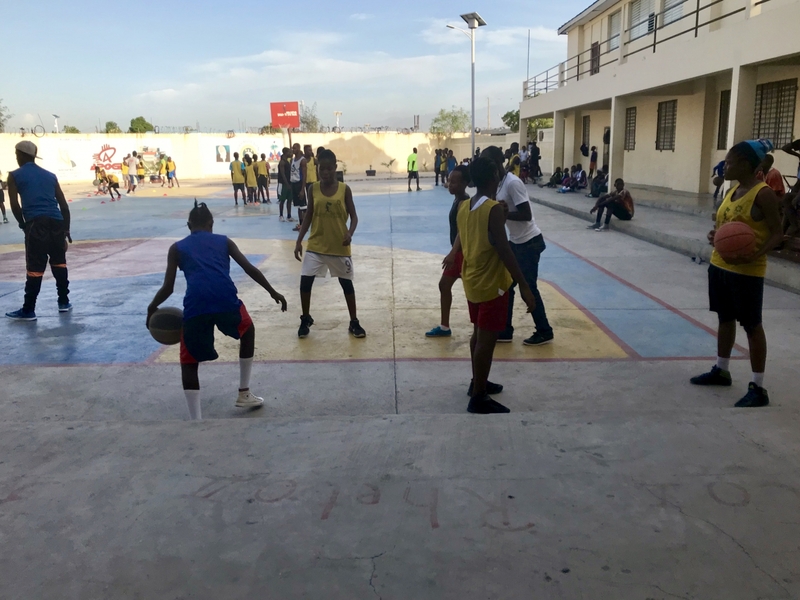 Sadrack, also president of the Cite Soleil basketball league, remembers the first time a Cite Soleil basketball team traveled to play in a tournament outside their neighborhood. No one wanted them there, including the organizers. To play, they had to consent to be patted down before games to ensure they had no guns or knives and ignore the opposing fans who shouted slurs after their every mistake. Still, everyone was afraid of them and, after their first loss, ran away for fear that the team would have a violent reaction. Nothing happened; the team regrouped and calmly prepared for their next game. After four straight losses, they finally managed a win, then another, and another. 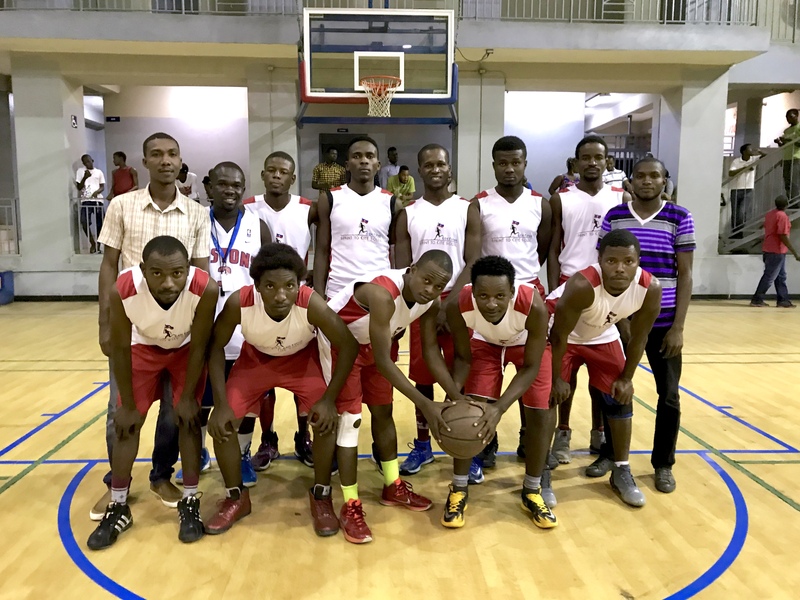 Soon, the Cite Soleil team had won second place in the tournament and earned much respect from the organizers and the fans of other teams. 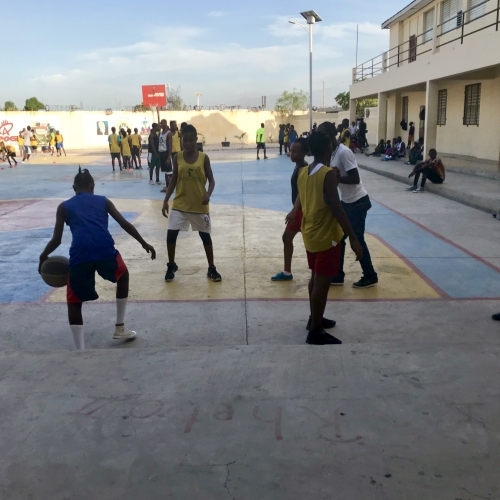 Games in Cite Soleil have begun to draw more and more fans from across Port-au-Prince because the talent on their court is undeniable; the first division team has taken two players from Cite Soleil to play at the top level in the country. 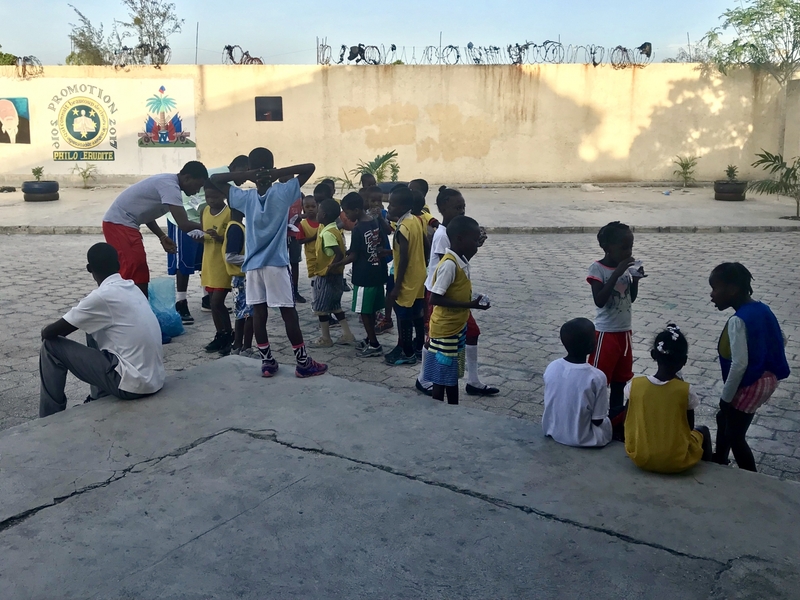 Haiti Communitere is proud to have been counted among the early supporters of the burgeoning league. 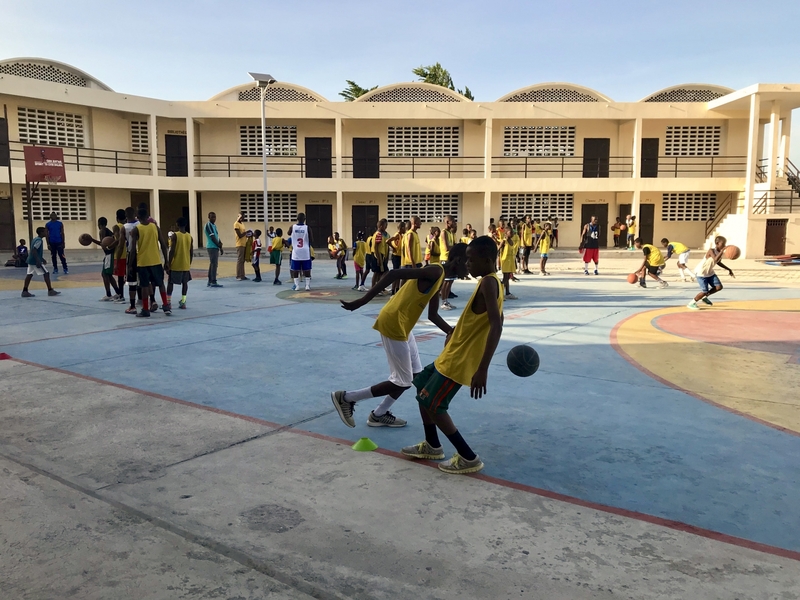 Today, Cite Soleil’s basketball league and Sprint to Cite Soleil are thriving. 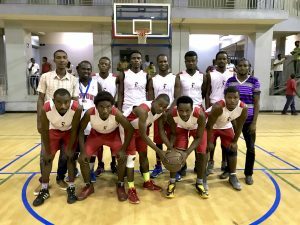 In November, coaches for schools and local leagues will undergo further training. In January, there will be an interscholastic tournament, which is expected to be well-attended by the growing fan base. 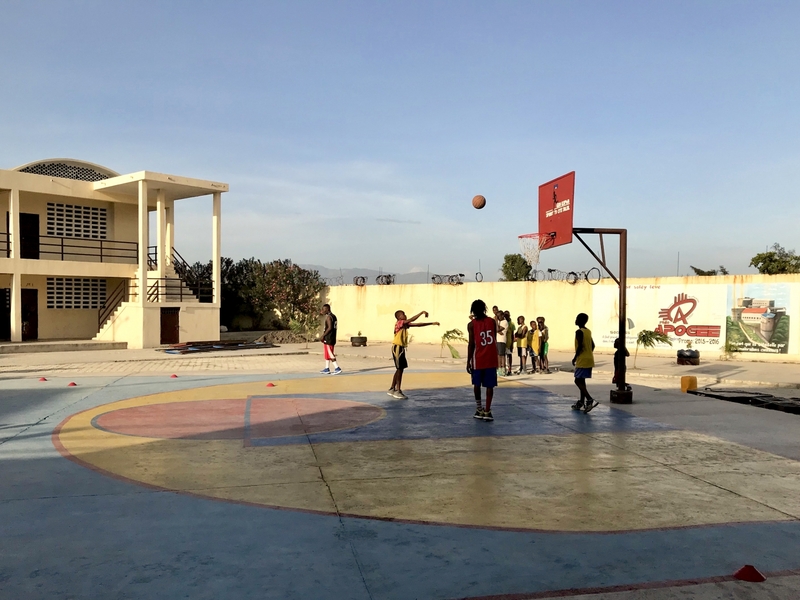 In the meantime, the basketball court will stay busy with regular game and practices; it is becoming a proud community center. Sadrack hopes, though, that they will be able to expand the program. The interest and enthusiasm in the community needs to be matched by funds and confidence from outside the community to help sustain growth. 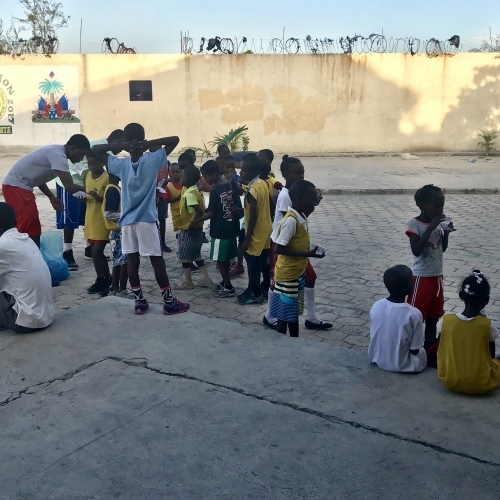 He is always looking for opportunities to get his coaches more training and is hoping to send them to more trainings outside Cite Soleil, perhaps even in the US. 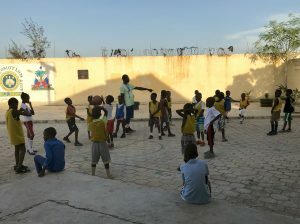 Improving the training gear is also a priority; right now, the kids have only balls and a couple nets. 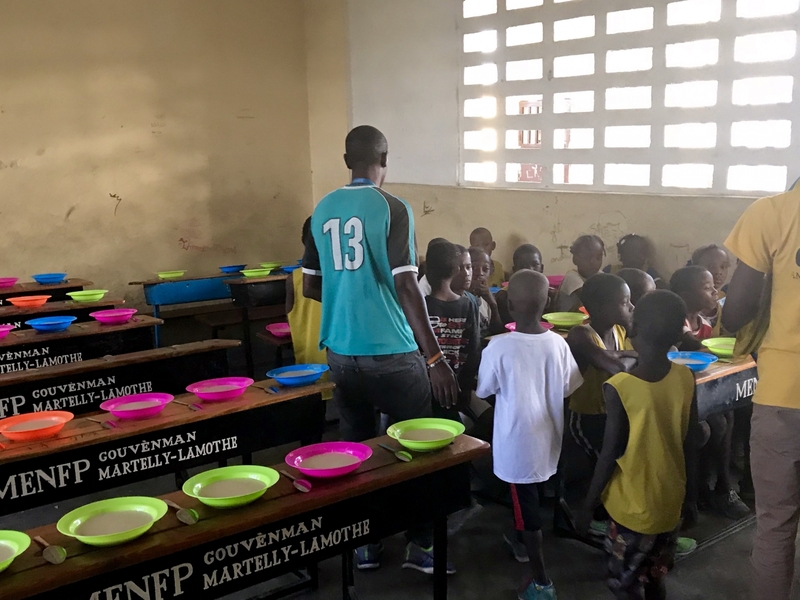 Money is the biggest barrier, as it is important to the program to feed the young players after every practice, hopefully several days a week. 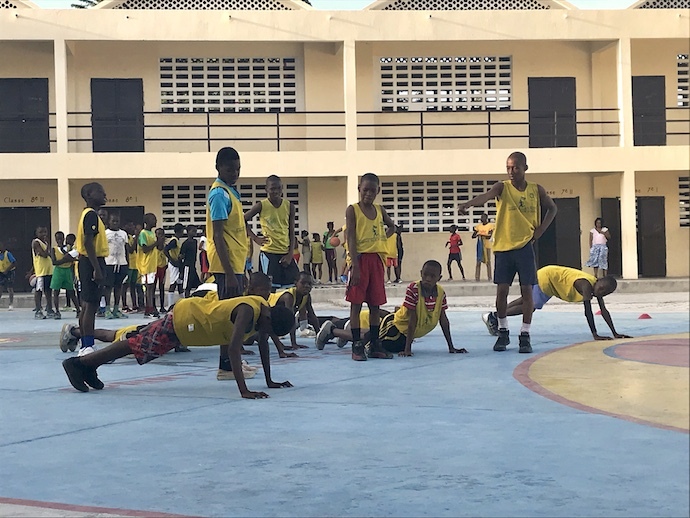 Sprint to Cite Soleil gives kids role models to look up and shapes kids into role models for their community to rally around. Outsiders have been saying for years that Cite Soleil cannot and will not change. Sprint to Cite Soleil is one more way of proving them wrong. 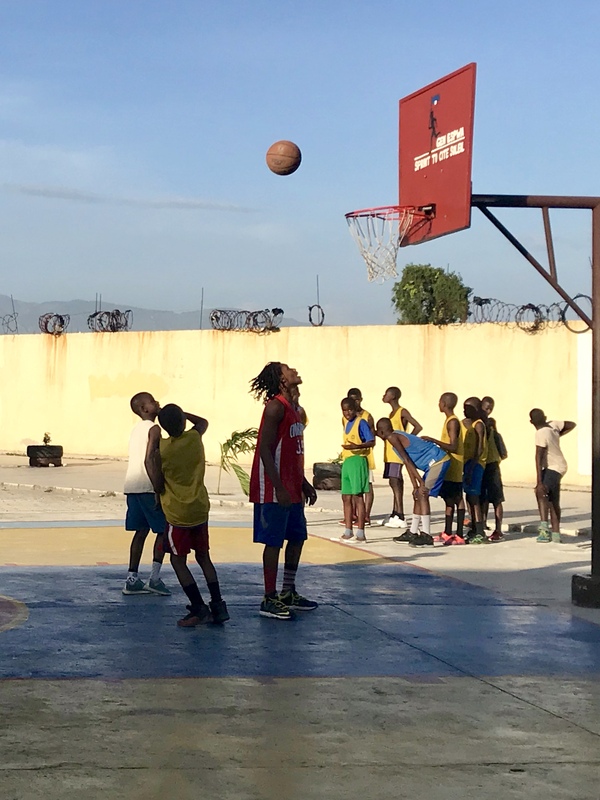 If you are interested in learning more about Sprint to Cite Soleil and the Cite Soleil Basketball League or would like to make a donation, visit sprinttocitesoleil.org or find them on Facebook at Sprint to Cite Soleil and Ligue Basketball de Cite Soleil. You can also email [email protected] and [email protected]. 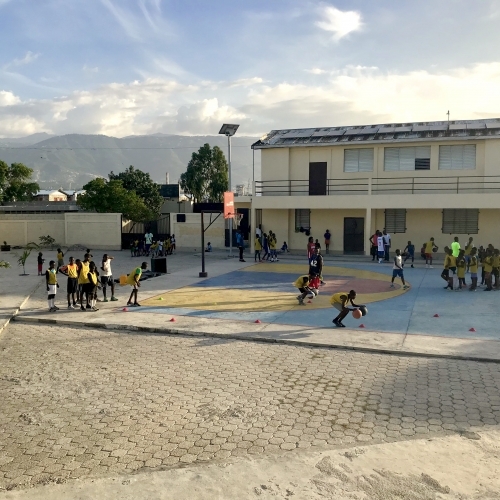 Contact Joseph Sadrack at [email protected] or Haiti Communitere at [email protected]. Our base is a co-living and co-working community built on the idea of shared resources. 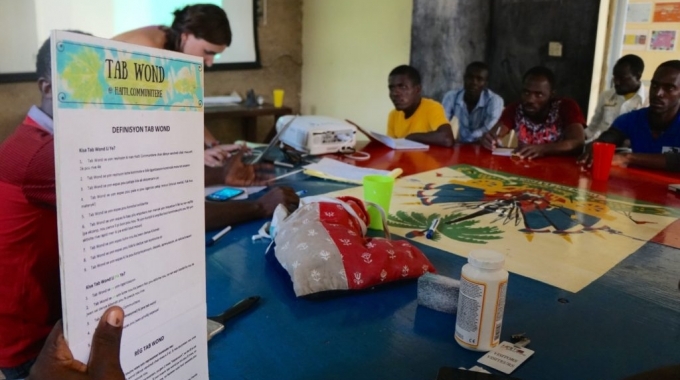 How does a community rise from disaster? Watch Communitere Founder Sam Bloch's TEDx talk. 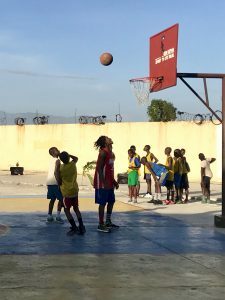 Want to Volunteer in Haiti?